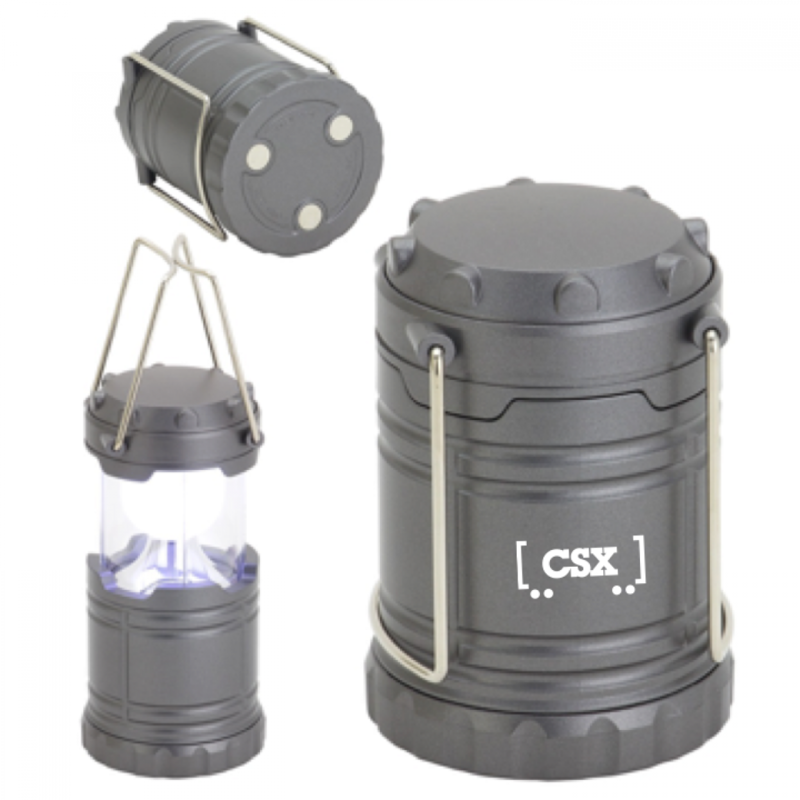 CT2584 - Mini pop up LED lantern. Three (3) strong magnets on the bottom for work light function. LED light automatically turns on when top is pulled up. Handles fold neatly against side of lantern. Powered by 3 AAA batteries (included). Gray with white CSX logo.